The CIS seeks to carve channels of capital from investors to entrepreneurs (America’s most important source of job, income and wealth creation). According to Bain Capital’s 2012 report, A World Awash In Money, over $500B in liquid cash assets sit on the sidelines in the domestic private equity markets. Approximately $2.1 trillion in cash is held by non-financial U.S. corporations. The latter means opportunity to create stability, certainty and incentives for the financial marketplace to make risk-adjusted investments in entrepreneurs of color. Investment capital has fueled the U.S. economy, particularly in California where small businesses are the engine of California’s economic performance, employing 52.8% of the state’s non-farm private workforce. Unfortunately for struggling minority and inner-city enterprises (accounting for one-third of the state’s 3.4 million small businesses), access to capital has perpetually been a day late and a dollar short, despite these entrepreneurs having advanced education, skill, experience, commitment and potential equivalent to their white counterparts. In 2014, California received 51.3 percent of the $48.3 billion (National Venture Capital Association) in venture capital invested in the U.S.; however, less than 1 percent of the total was invested in Black or Hispanic owned firms (CB Insights). In a look at disparity in California-specific earnings, 2010 Dunn and Bradstreet Minority Business Data featured a survey of 10,787 high performing operations, which included only minority firms (Asian, Black, Hispanic, Native American, Other) with $500,000 or more in annual revenue, and good to excellent credit history and rating. Over half of those California companies (5,216) were Asian-owned. Forty-three percent (4,258) were Hispanic-owned, and only 3 percent (327) of those high performing minority businesses found and surveyed were Black-owned. The D&B data revealed an average sales volume (ASV) of $3,478,925 for all surveyed companies, while the ASV for Black-owned companies topped at $3,707,778. A wide body of research (conducted by the Kauffman Foundation, Milken Institute and US Department of Commerce et al) conclude that the high rate of minority business growth is constrained by a chronic lack of debt and equity capital. Profiles of special venture funds found that investments in these enterprises resulted in healthy returns equal to, if not slightly higher than, traditional investments by mainstream venture capitalists. In response to a California Urban Partnership survey, 20 top VC funds in the state revealed an absence of focus, knowledge and relationships needed to tap urban area opportunities like South Los Angeles, for example, where the aggregate income is estimated at more than $13 billion. Even though the start-up and sales rates of California’s entrepreneurs of color have reached unparalleled heights, their proportion does not yet fully reflect the growing size and importance of people of color in the state — who now account for 58 percent of the population. Fueling the disparity is the fact that entrepreneurs of color are disproportionately represented in low-growth and no-growth sectors. They also tend to rely on personal debt and family financing over business loans, equity, and other tools that are otherwise commonly accepted in the capital markets. As a result, entrepreneurs of color often lack the size, scale, and capabilities of their majority counterparts. 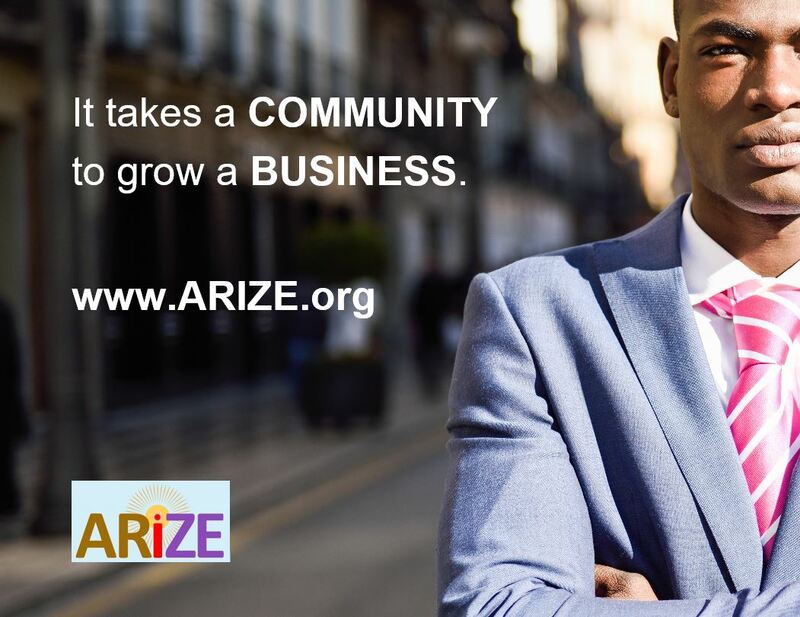 Corporations — elevating minority business development to a higher level in terms of strategic importance and fostering increased collaboration between minority entrepreneurs, communities and employees. Government — recognizing the critical importance of minority business in economic development and fostering the growth of not just small businesses, but those companies of size and scale that are positioned in growth industries. Entrepreneurs of Color — growing businesses of size is the major imperative, requiring the entrepreneur to use all aspects of corporate supplier diversity progress and assume broader leadership roles — in their communities and on major corporate boards. Aggressively responding to major trends in global supply chain management. The good news is that minority entrepreneurs can indeed close the gap with their competitors in the broader business community if they operate innovatively; radically change the way they think about their business, their customers, and their competition — and move aggressively. The bad news is that those businesses that won’t or don’t make transformative changes to close the gap will ultimately fail. The growth rate for these firms will begin to slow, a limited number of jobs will be created, and California’s macroeconomy will be at risk. Closing the gap for minority businesses requires that all the major players in the field — large corporations, government officials, community leaders, major universities, foundations and of course minority entrepreneurs themselves — shift their mindset and their focus to embrace a Shared Agenda. The state’s business and economic development programs must be calibrated to empower the “new majority” to fuel the “small business engine for economic growth,” and build a diverse and sustainable economic recovery that benefits ALL Californians. Past and current efforts — while successful in making broad gains—will prove inadequate in resolving the remaining disparity and in achieving future progress. Efforts must be consolidated and resources allocated with precision to home in on the most promising and powerful opportunities: building successful small, medium and large minority-owned businesses to create the kind of explosive and transformative growth that is needed to invigorate minority communities, inner-city markets, minority entrepreneurs and business leaders, and the local, state and national economies. The Shared Agenda will be challenging to pursue, but, if successful, its benefits will accrue not only to the entrepreneurs who succeed but also to corporations and society as a whole. Minority communities will enjoy both stronger economies as well as a new breed of leadership — one capable of effecting change in the community and society at large. Private-sector corporations will benefit from more dependable suppliers that are capable of taking on major opportunities and eventually fostering minority business programs of their own. Bolstered, all these businesses will contribute to the economic development agenda of government — revitalizing California’s inner-city communities, expanding the tax base, and creating new jobs.